This Harvest Corn Pattern Math art was a fun way to spend an afternoon recently. Filling in the kernels of the corn was a quiet activity that my five year old really got into. 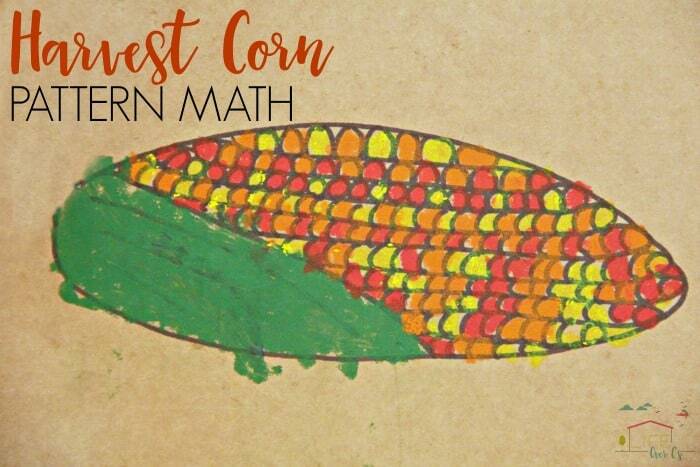 Coloring in the small kernels of the corn was a great way to encourage fine motor skill work and I was able to introduce a few different pattern sequences for a Fall themed math activity, too! 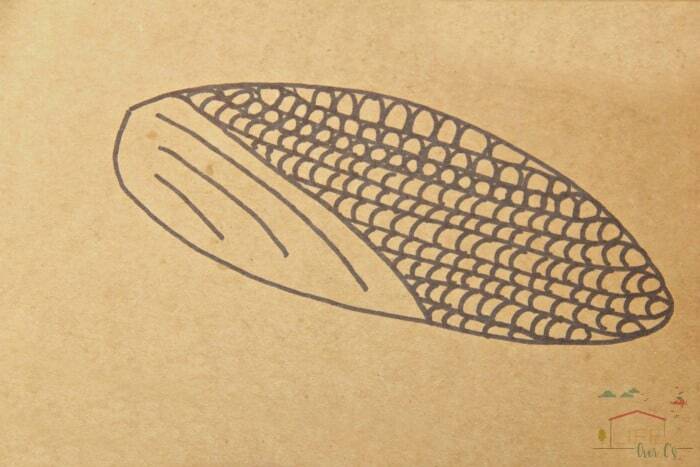 To make the corn shape, use the black marker to draw a long oval shape. Add horizontal lines for rows of corn kernels. Then add curved lines on each row to make the individual corn kernels. I drew the corn cob for my daughter but this would be a great drawing activity for older kids. 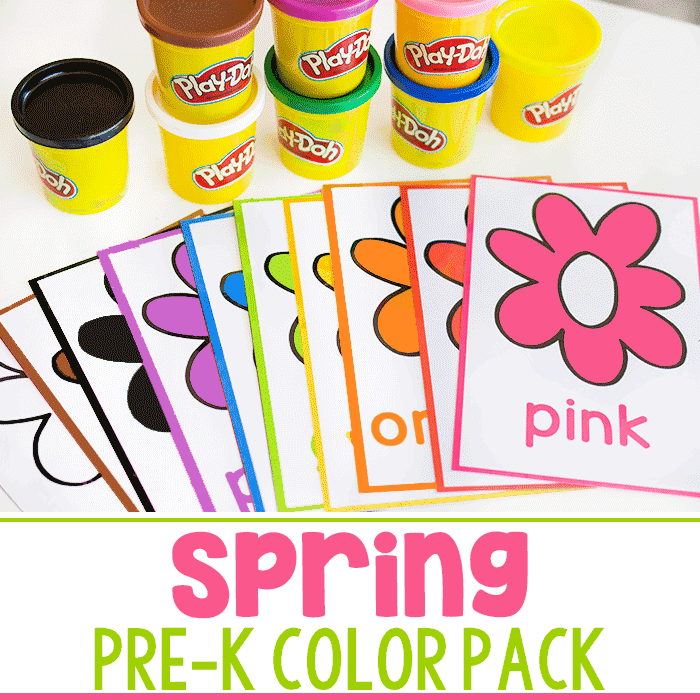 Next, show your child how to fill in the kernels with the crayons in patterns. We used an ABAB pattern, an AAB pattern, and even a AABBCC pattern to fill in the rows of corn kernels with different colors. This was a great introduction to patterns for my five year old. 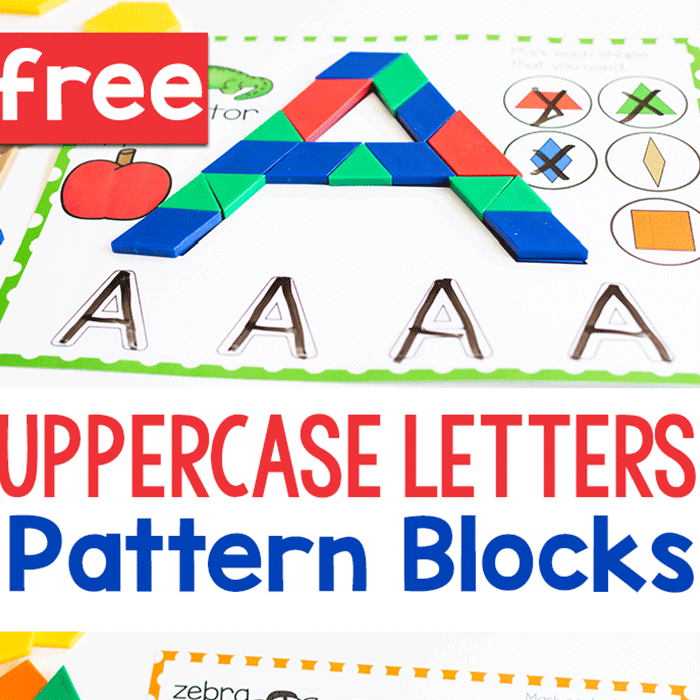 Looking for more pattern activities for learning math concepts? 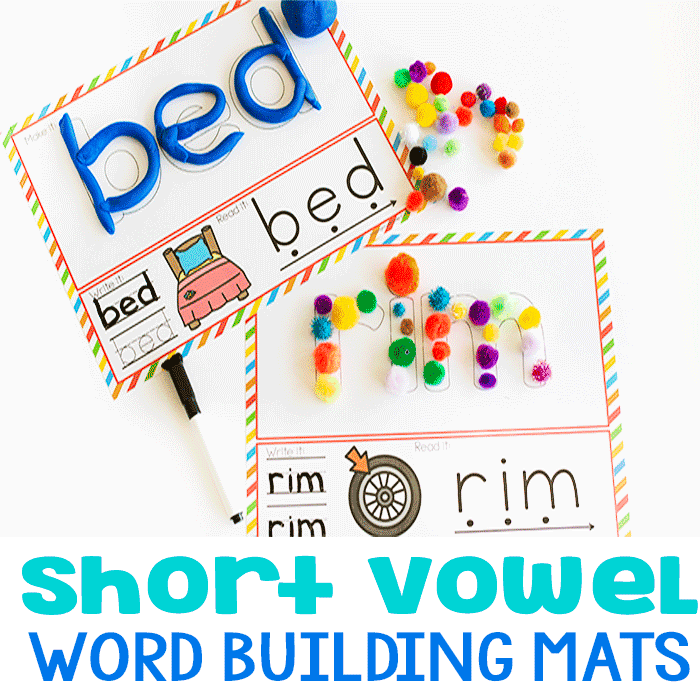 Try these pattern printables. Using the scented Mr. Sketch crayons are perfect for a surface such as cardboard. These type of crayons are very smooth and the color glides on. Kids love the scent of these fun crayons, too. By using a thicker black marker to draw the corn, kids have a better chance of maintaining line awareness when coloring. 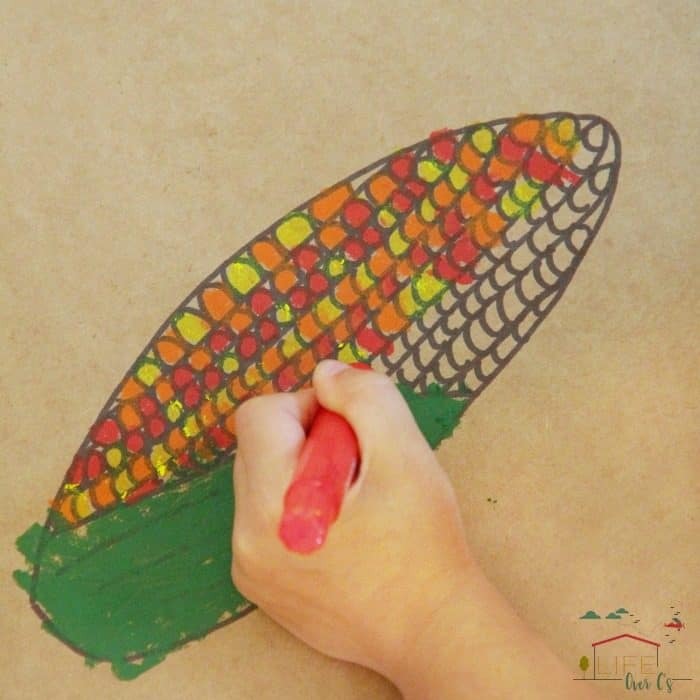 This harvest corn art would be perfect for a Fall themed craft with the kids! How do you add math and learning opportunities into creative crafts and activities? 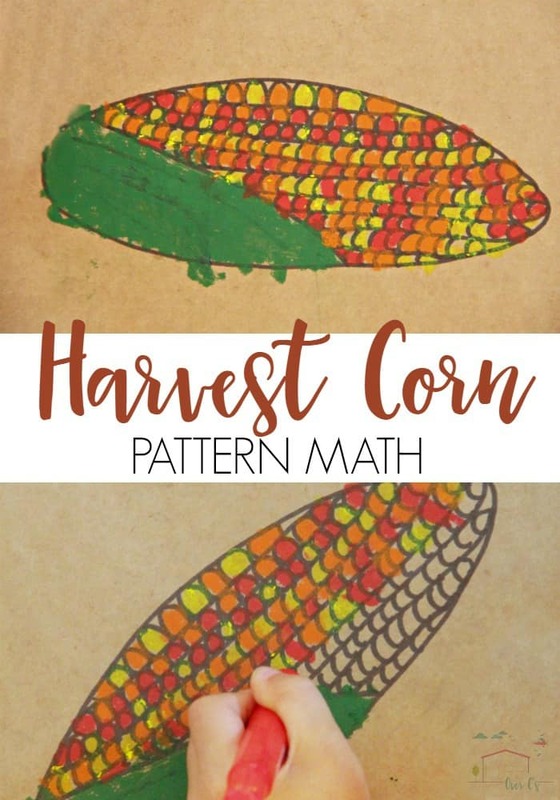 Try this Harvest Corn pattern math art activity this Fall!